June 19, 2018 — WASHINGTON — The U.S. Postal Service is providing customers of all ages with a treat for their senses with the release of its first scratch-and-sniff stamps on Wednesday, June 20. 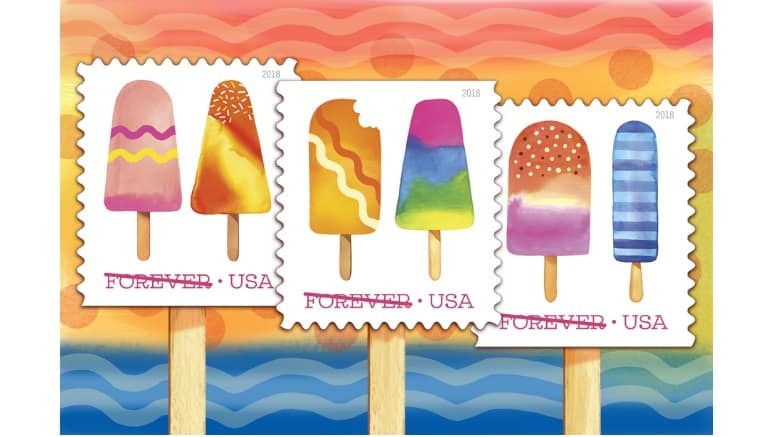 The aroma of the Frozen Treats Forever stamps will remind customers of the sweet scent of summer when mailing and receiving letters of love, friendship, party invitations and other correspondence.